The majority of roads and street lights in Aylesbury Vale are maintained by Bucks County Council. Private roads should be maintained by the landowner. The developer is responsible for the maintenance of roads and highways on new developments until they’re adopted by Bucks County Council. We empty litter bins across the district that are located on footpaths and in AVDC managed parks. 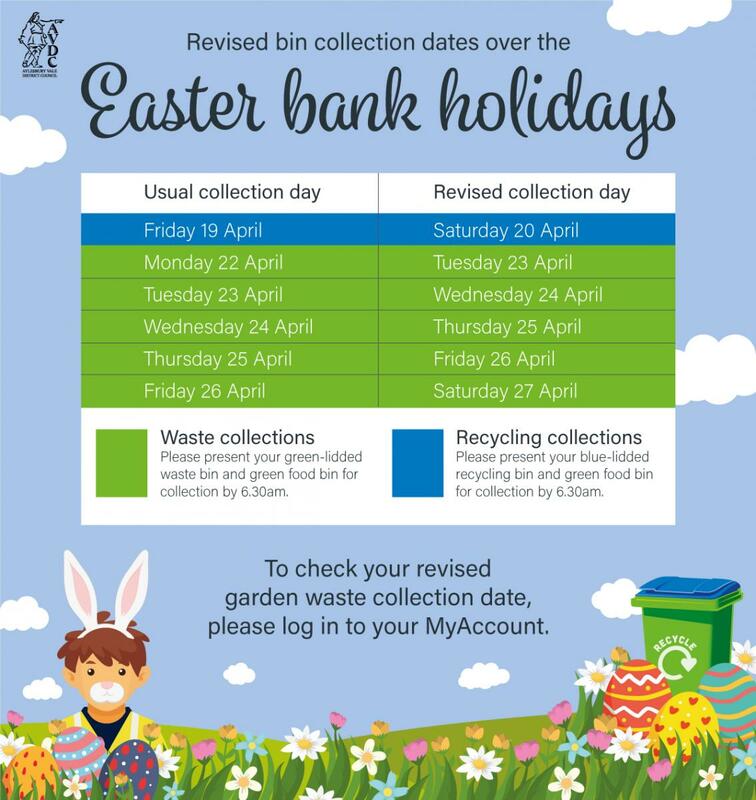 Most bins are owned by parish and town councils, so you should contact your local parish/town clerk to request a new or replacement bin. Litter bins in shopping centres and on private property are the responsibility of the property owner. We remove graffiti from council walls and buildings, and we can provide a chargeable service to householders and businesses. We usually remove graffiti using a pressure washer, so will only provide this service where there is no risk of damage to your property. Help us keep Aylesbury Vale looking beautiful by letting us know about any problems you spot. We replace or fix street nameplates across the district. To report a missing or damaged street nameplate, please fill in the online form.